Are you confused in choosing between Weber Q200 and Weber Q2000? 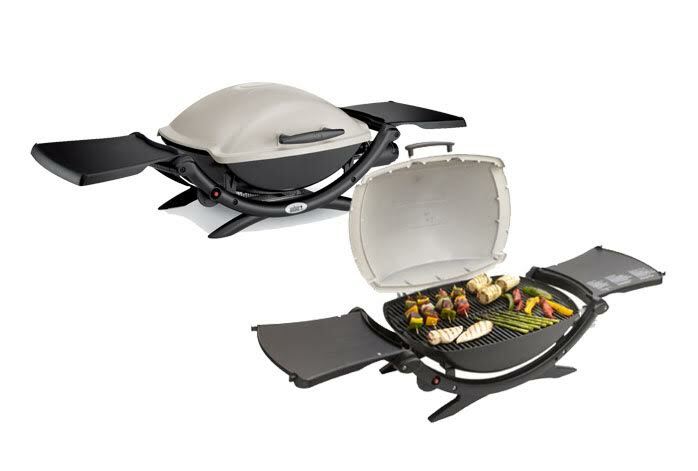 Both are gas grills that are compact and portable, excellent choices for camping trips and outdoor parties. Both models happen to look very similar to each other. Both models also come with roughly similar prices. So, what are actually the differences between Weber Q200 and Weber Q2000? Which is the one model that you should get? Let’s find out in the article below. One thing that you may have or haven’t known is that Weber Q2000 actually an update model for Weber Q200. This explains the similarities. Both Weber Q200 and Weber Q2000 are gas grills fueled by liquid propane; hence, they require either 14.1 oz or 16. oz disposable LP cylinders to work with. Each of them features a single stainless steel burner that generates about 12,000 BTU-per-hour heat output to heat the 280 square inches total cooking area. The cooking area is quite wide, suitable for preparing up to 11 hamburger patties at once. So, Weber Q200 and Weber Q200 are excellent choices if you need to serve ten or more people. Both models also come with similar construction. They both feature cast aluminum lid and body with a glass-reinforced nylon frame. Both models are very rugged and durable. The porcelain-enameled cast-iron cooking grates are also very solid yet very easy to clean as well. On the sides of each grill, you can find a pair of foldable stainless steel working tables. These tables are very handy especially when cooking outdoor, in which case, you may not have enough place to put your cooking materials and ingredients. With Weber Q200 or Weber Q2000, you can simply unfold the working tables. Another reason behind the popularity of Weber Q200 and Weber Q2000 are their ease of use. They come fully assembled out of the box, and they feature a push-button ignition with infinite control burner valve settings. The only noticeable difference between the two models is the design. While the older Weber Q200 comes with a roughly rectangular handle with the ‘Q’ logo written on the front side, Weber Q2000’s handle now features a curvier shape for a more comfortable grip. The ‘Q’ logo is now also engraved, creating such a premium look. Actually, there aren’t many differences between Weber Q200 and Weber Q2000. Since the two products are available at similar prices, we recommend you to choose Weber Q2000. It is newer, and it has a better handle design.